(a) we use google analytics, clicky and hotjar to recognise a computer when a user visits our website ,track users as they navigate the website, enable the use of a shopping cart on the website, improve the website`s usability ,prevent fraud and improve the security of the website, validate authenticated users sessions, facilitate the use of our website search engine. (a) We collect information about you through your use of our Service and/or from the websites and services provided by our Customers.When you create an account, you provide us with a username, password, real name, and email address, as well as one or more websites that you own and want to monitor with the Service. If you make a purchase, you provide us with your billing information such as card number and address. This information is used for the purposes of having and maintaining your account. Your email is only used for important account notifications, such as a failed payment or a subscription about to expire. We collect information from End Users under the instruction of our Customers, under which circumstance we have no direct relationship with the (c )End Users. The following information is sent to our servers by default when an End User visits a Customer’s website. This feature can be used by a site to attach additional data to a visitor, potentially including Personal Data such as a name or email address, but it is against our Terms to log Personal Data using this feature without disclosure or (depending on “legitimate interest”) consent. This feature requires a small amount of configuration and coding by Customers, so only a small percentage of Customers use it. New Street, North Perrott, Somerset, TA18 7ST, United Kingdom. 9.3 Our principal place of business is at 4 Manor Buildings, New Street, North Perrott, Somerset, TA18 7ST, United Kingdom. 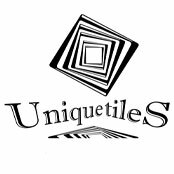 (d) by email, using info@uniquetiles.uk. Preventing fraud and abuse, and maintaining information security. (Full IP addresses are necessary for this type of usage). Recital 47 of the GDPR states: “The processing of Personal Data strictly necessary for the purposes of preventing fraud also constitutes a legitimate interest”.